War reenactments are not a new thing by any means. From Shakespeare recreating famous British battles in his historic plays, to put upon the stage, to Civil War reenactments occurring in the United States as soon as just a few years after the war’s end, the public likes a good war story. The drama and ultimate victory is something to be celebrated, amid the realities of death and gore. Some scholars say we reenact these moments in modern times in order to understand them, but some say it’s just how it’s always been. Regardless of the reasoning behind it, for war and military enthusiasts, and even just history buffs, war reenactments are not only an educational experience, they’re also great entertainment. If you’re looking for nothing but the best of the best, here are the top spots you’ll want to visit, where the experience is just about as authentic as it possibly can be. In Ohio, there’s the annual D-Day Conneaut. Yes, it’s a reenactment of the D-Day you’re thinking of, but it takes places thousands of miles from the actual D-Day location. 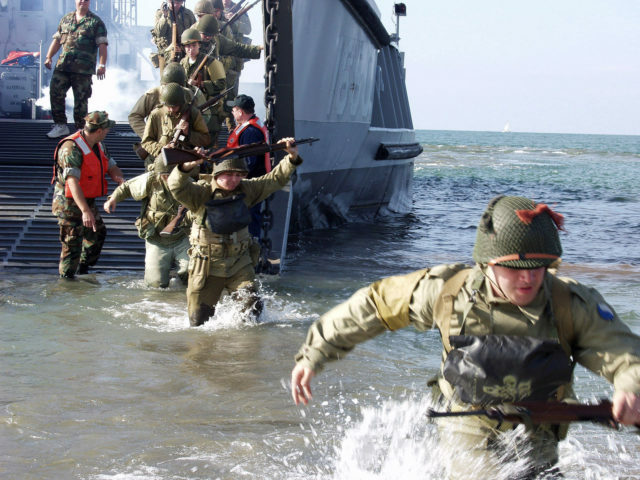 Each summer, more than 1000 actors from all over the United States and Canada come together to recreate with superb accuracy the events of D-Day on the shores of Conneaut, Ohio. The reenactors assure spectators that the long beach and terrain are very similar to what you would find in Normandy. Last year, they attracted nearly 25,000 viewers, all impressed by the authentic vehicles, original equipment, and uniforms used. The Great War Association creates an entirely immersive experience for visitors, with a strikingly realistic battlefield on a 100-acre plot in Pennsylvania. With trenches, no-man’s land, barbed wire, sandbags, bunkers and more, you’ll think you’ve been dropped right into World War I. The area represents the western front in 1917 and nearly every member country of the war is represented, not just Americans. You’ll find actors portraying units from Great Britain, Germany, France, Russia, Australia, Canada, and the Austro-Hungarian Empire as well. 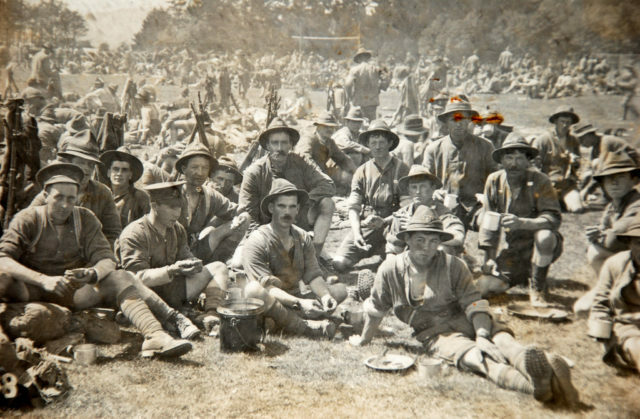 The actors are completely immersed in the experience as well, from the time of their arrival, until they leave, never breaking character as they dress, eat, sleep and live just like soldiers on the front lines. 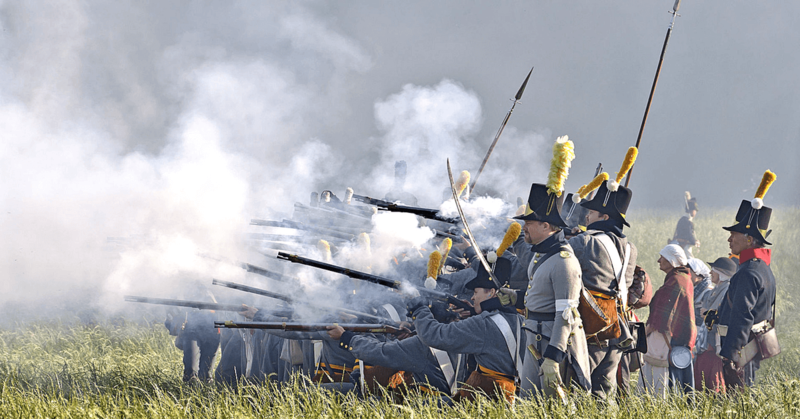 The American Civil War – Now In Europe, Too! Of course, there’s no war Americans like to reenact more than the Civil War. 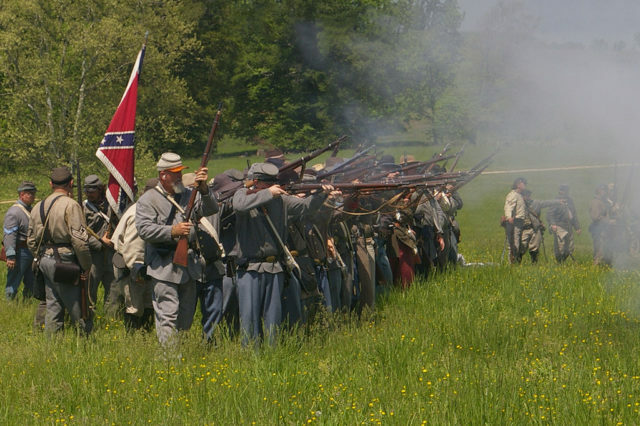 You’ll find hundreds of reenactment groups all over the Eastern half of the United States, constantly putting on week-long shows during all weather, year-round. Especially in the South, where the Civil War is even more romanticized, you’ll find entire celebrations regarding Civil War-era culture, with women in hoop skirts and all. However, an interesting trend is popping up, as Civil War reenactments are going global. From Rome to Russia, you’ll find them just about everywhere. It’s especially true in Germany, where some residents feel a kinship with the American war, as a high number of German immigrants participated on the Union side. In fact, it’s reported that Robert E. Lee even said that, if the Union didn’t have the Germans, the South could easily win. 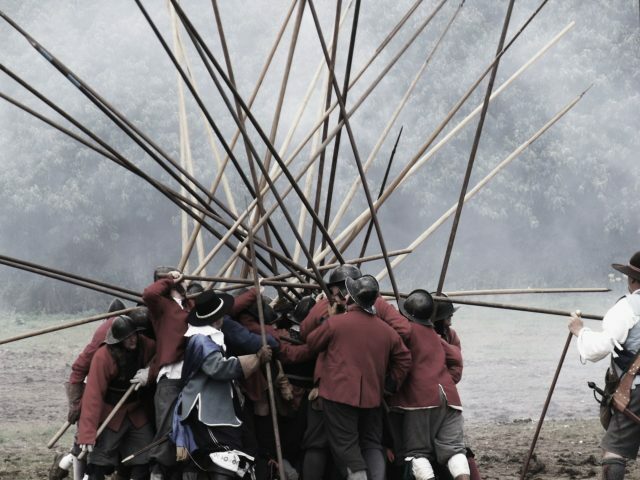 If you’d rather travel further back in time, Buckingham’s Retinue Re-Enactment Group puts on events all through the summer months depicting medieval English battles, including the Wars of the Roses, and Tudor life. All of their events take place in the United Kingdom. The largest Wars of the Roses re-enactment is performed by the award-winning Medieval Siege Society, with about 600 members. They work closely with the National Trust, an English heritage organization, and they assist in television and film productions.